The Panhellenic Council at Oklahoma City University is a close-knit group of women who are full of drive, passion, and tenacity. Active leaders on campus, the women of Alpha Chi Omega, Alpha Phi, Gamma Phi Beta, and Phi Mu are highly respected for their academic achievements, service to others, and unique bonds of sisterhood. 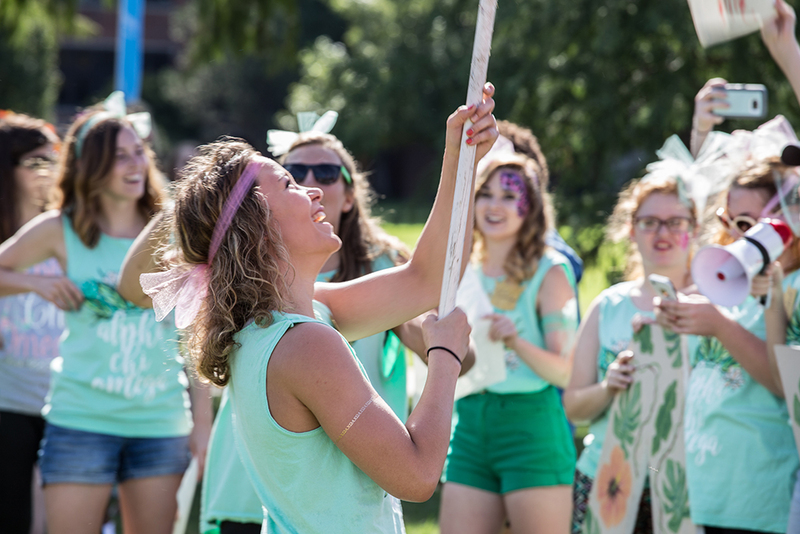 Women from every major and organization have found common joy in Greek Life at OKCU. As students with so many interests and talents, it is a common fear to be too busy to join a sorority. Trust me when I assure you that you do have and will welcome time with your sisters! Keep in mind that these college women will be your constant support system, your tutors, your biggest fans, and faster than you know it, your family.